← How rich is Estonia? Photographed at Capo Milazzo in Sicily. This entry was posted in Italy, Photography, Sicily, Travel and tagged Milazzo. Bookmark the permalink. What a great picture! Beautiful! Thank you for the amazing photo. Some places can make us believe in heaven. It looks like a chocolate chip biscuit, good enough to eat! 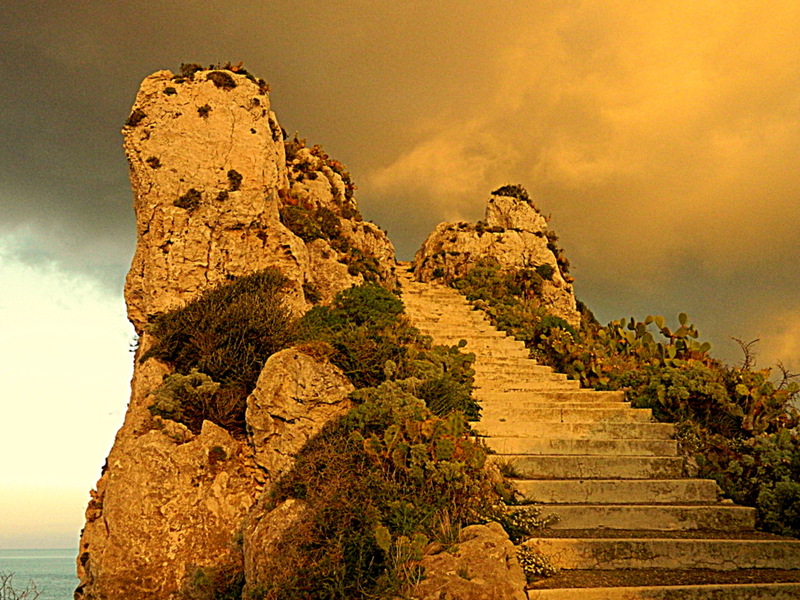 If you want to be taken to heaven (or be abducted by a UFO) you must climb these stairs and wait….